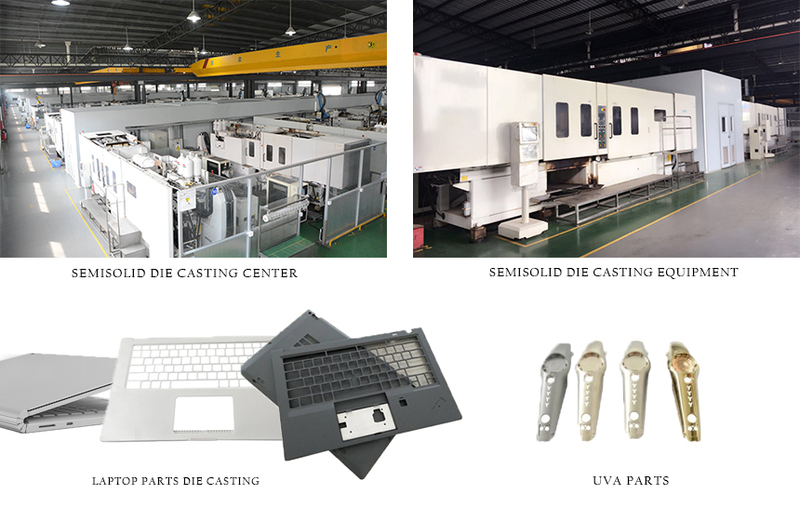 Product categories of Precision Mg Die Casting, we are specialized manufacturers from China, Precision Mg Die Casting, Industrial Parts Die Casting suppliers/factory, wholesale high-quality products of Aluminium Die Casting R & D and manufacturing, we have the perfect after-sales service and technical support. Look forward to your cooperation! Precision Mg Die Casting is Heated to semi-solid magnesium alloy materials with high speed and high pressure of metal Injection molding, the magnesium alloy products is precise size precision castings, high density, high strength, high performance, known as the high precision Magnesium alloy die casting. Widely used in aerospace, automotive, communications, electronics industry, semi-solid Die Casting is our main production process, has 101 sets of magnesium alloy semi-solid die casting machine, can provide the largest and most advanced metal processing services.